Why does Hamilton Troll live next to a tree stump? Chatterton Squirrel asks this question one spring day, so Hamilton shares the story about how this whole thing began. While trying to stay warm one cold December morning a loud rumbling noise brought Hamilton out of his hole to discover his tree was gone! 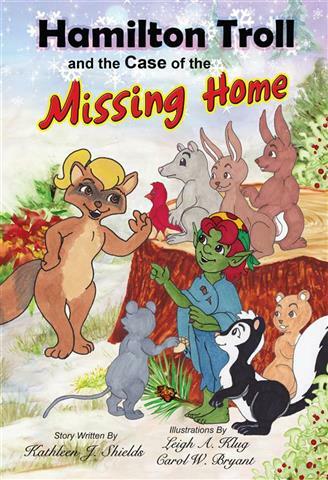 In order to solve the mystery of the missing tree, Hamilton and Merle Mouse go to Rachel Raccoon for help. Rachel then tells everyone about Christmas and explains why Hamilton's tree was taken. Curious about this, Hamilton decides to go see what this day is all about and in doing so, discovers the magic of Christmas.